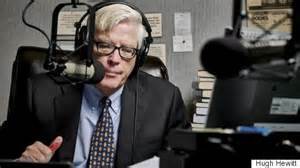 Hugh Hewitt host of the intelligent, must listen to, Hugh Hewitt radio show, discussed the special election results that took place in Pennsylvania, for PA 18th Congressional District, on Tuesday March 13, 2018, where Democrat Connor Lamb defeated Republican Rick Saccone. This was a solid red district that Donald Trump had won by more than 20 points. Hugh in a no holds barred discussion said that these results were chilling for the Republican Party, a rejection of the president's style [i.e., unpresidential style] in a district that voted for the president overwhelmingly. In the first hour Hugh discusses the results with callers to his radio show. He appreciates every caller and understands their frustration, but he makes clear there can be no excuses for the loss. Yes, it was close, but it was still a devastating loss for the GOP that could bode poorly on the GOP's chances to hold on to the House in November. Thanks to the Hughniverse, I took clips from the first hour of some of the callers and Hugh's discussion with them on the election results. This is edited as I just took portions of the first hour and clipped them together. I hope you will consider joining the Hughniverse where you can hear not only all the first hour but all three hours of Hugh's show today or any day in the past. Also if you join the Hughniverse, you get to hear the witty and informative Aftershow hosted by Hugh's producer, Duane Patterson aka radioblogger on twitter. If you join today you can get the first month tryout for only 99 cents. Even better, each hour takes only 35 minutes to listen to as commercials and news breaks are eliminated!